Of all my arthritis diet friendly recipes, this one's title seems to be promising the most: all-in -one pan, healthy and a good recipe for macaroni cheese. I won't be offended if you feel a bit sceptical about it but I promise you that not only does it taste delicious but I have just made it on a very bad arthritis day using one arm and whilst on crutches. The pasta is cooked in milk with the natural starches helping to thicken the sauce. The method may seem obscure but it's a similar idea to making a risotto or an all-in-one white sauce. Put a medium sized pan or casserole dish on the hob and throw in your pasta, all the water and 200ml of the milk. Set on a gentle heat and bring slowly up to a simmer. 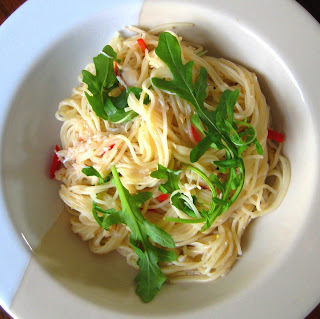 Stir occasionally and cook until the pasta is cooked al dente. Whilst the pasta is cooking, mix the remaining 100ml of milk with the flour to form a thin, smooth paste. Once the pasta is just cooked, add this milk and flour mix to the pan along with the mustard, butter, grated cheese, salt and black pepper to taste. Gently heat the whole lot and stir continuously until the sauce thickens. You can either serve it straight from the pan or if you want to go one step further, cook the whole recipe in a skillet or shallow casserole dish, top with a little cheese and then pop under the grill for 5 minutes or until golden brown and bubbling. 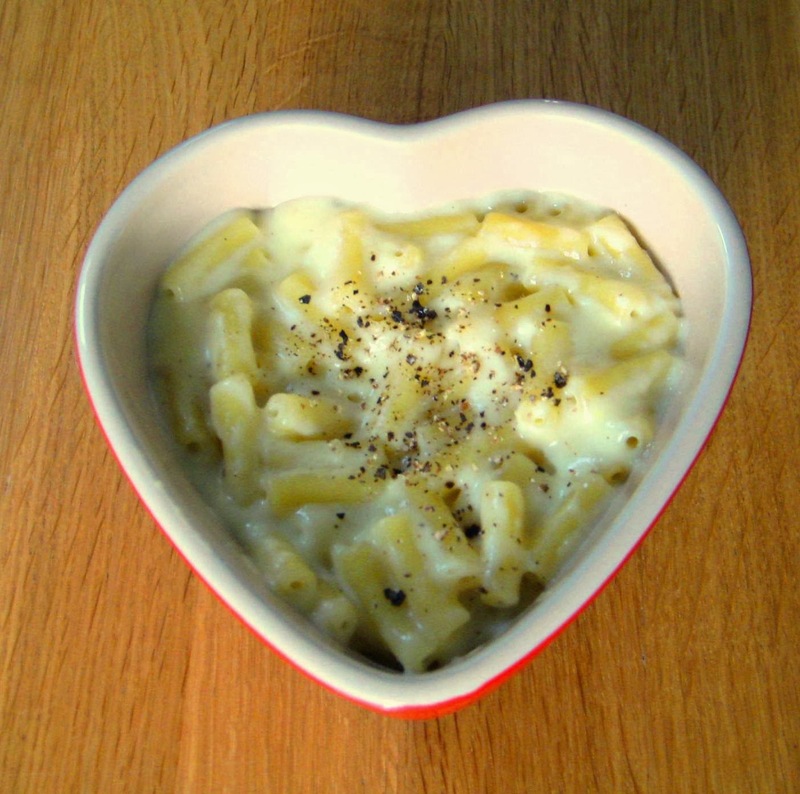 Macaroni cheese gets a bad rap normally from nutritionists as many chef-style recipes are crammed full of extra cheese and double cream. However, the traditional British version of the dish is comparatively light - it's normally made using a simple white sauce with cheese added and then topped with either breadcrumbs or more cheese. Obviously, full fat dairy products are rich in unhealthy saturated fats which can exacerbate arthritis inflammation but you can easily substitute lighter versions which are a good source of bone-boosting calcium. To ensure you still get maximum flavour, try adding a little mustard to boost the cheese flavour and pick the strongest or most mature types of cheese for the most cheesy taste. My all-in-one version makes the most of these healthy short-cuts and makes a perfectly well-balanced meal served alongside plenty of vegetables - try a few little cherry tomatoes and peas or spinach with a touch of garlic. Spices are great addition to the diets people with arthritis. Turmeric, garlic and ginger all have a natural anti-inflammatory effect and are also contain powerful anti-viral and anti-bacterial phytochemicals so are worth tucking into during the winter. This biryani recipe uses all three of these arthritis busting ingredients. It’s much healthier than a takeaway biryani and ready in less time than it takes for that scooter to turn up! You’ll notice, I’ve made general suggestions for the type of curry paste, vegetables and nuts you might want to use. You can vary the recipe based on what you have to hand and it will still taste great. Serve it with low-fat greek yogurt mixed with a little chopped mint (or even mint sauce from a jar). You can cook your own poppadums for a low-fat treat in the microwave, rather than deep-frying them. Simply place each one in the microwave for about 30 seconds and watch them pop up. Heat the oil in a medium sized casserole dish. Add the chicken, ginger, garlic,turmeric and curry powder and stir, cooking on a low heat for 1 minute. Pour in the rice, vegetables and stock and give everything a good stir. Bring the pan up to a low simmer and then cover and cook for about 20 minutes, stirring occasionally to ensure nothing sticks to the bottom of the pan (or pop the whole covered dish into the oven and bake for 20 minutes at 180C). Remove the pan from the heat and garnish with the nuts before serving. No spice can cure your arthritis but the powerful natural chemical compounds in turmeric, garlic and ginger have shown some promising effects in early studies and you can read more on these by following the embedded links. 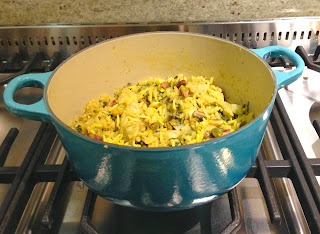 This arthritis friendly biryani recipe contains less than a third of the saturated fat and salt of a typical takeaway dish and half that of a supermarket ready-meal equivalent. Autumn is slowly turning into winter and with the darker nights I get an urge to hibernate.Some of this is just my response to cold, wet evenings and some of it is the effects of feeling exhausted by arthritis. Before we get into the ins and outs of what to do when you feel exhausted, I want to explain what I mean by 'fatigue' or 'tiredness' when you suffer from the pain of arthritis. Sometimes, those of us with arthritis feel ordinarily tired: exhausted, cranky and like we could do with an extra 6 hours in bed. However, when your arthritis is flaring the fatigue is nothing like that 'ordinary tired' feeling. It feels like someone has simply taken your battery out (a friend once said it was like being the opposite of the Duracell bunny!). Sleep doesn't particularly help and you tend to feel like you are wandering around with lead for limbs and borscht for brains. Why does this happen? Well, arthritis pain is both physically demanding and mentally exhausting. The inflammation that causes pain taxes your body - systemic inflammation over time can lead to anaemia and cachexia (loss of lean body mass), both of which increase feelings of fatigue. Medications that help tackle inflammation, like anti-inflammatories or disease modifying drugs, can also cause side effects which increase fatigue. Anyone who has had a 'methotrexate hangover' will recognise well the feeling of being utterly wiped out by a medication. Diet can help to some extent with this kind of arthritis fatigue. Eating plenty of omega 3 rich foods can help reduce inflammation and you can also support your body by making sure you are getting enough B vitamins and iron through eating plenty of wholegrains, leafy greens and even lean red meat. Pain can make it difficult to sleep which leads to even more fatigue. Arthritis can stop you getting comfortable at night or wake you in the early hours of the morning. Some people with arthritis call this , fittingly, 'painsomnia'. Luckily you can help tackle some of the causes of insomnia through diet. Try not to eat anything heavy, spicy or tough on the digestive system in the 3 hours before bedtime. Instead try a light snack to help balance your blood sugar that is rich in calcium, magnesium and the amino acid, tryptophan. A bowl of milky porridge (oatmeal) or a chicken sandwich on wholemeal bread both provide the right mix of sleep-encouraging nutrients. Finally, being tired and in pain makes shopping,cooking and eating healthily a challenge. It can be very tempting to reach for something instant or ready made when you are totally exhausted. However, people with all kinds of arthritis have been shown to be more likely to be deficient in vitamins C, E, folic acid and calcium than people without the condition, probably due to the difficulties preparing food you are shattered. Shortages of these nutrients can exacerbate fatigue and make it harder to bounce back from pain. A well-balanced healthy diet can help you cope - try stocking the freezer up with pre-prepared home made meals, frozen veg and fish and even healthier ready meals (see here for tips) so you have a stash of easy, healthy options when you feel a flare coming on. And, if all this sounds too much like hard work and you just want to get into bed or slump on the sofa - go for it. Sometimes you need to listen to what your tiredness is telling you. It beats, whisks and kneads. 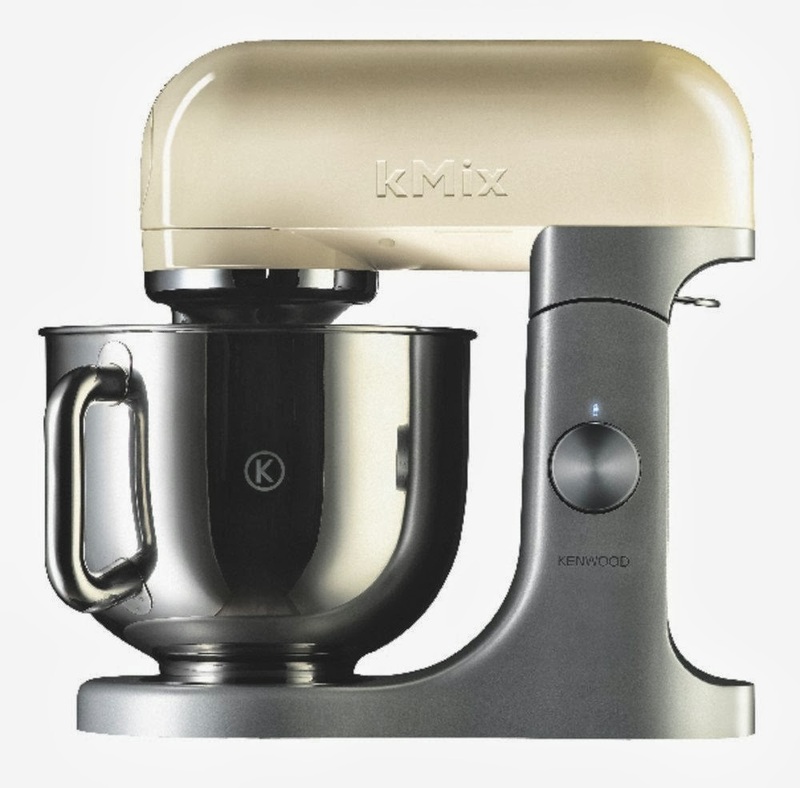 The kMix comes with a 5-litre stainless steel bowl and powerful 500w motor. It has a range of speeds and even a folding action for blending in things like egg-whites into a mousse base. 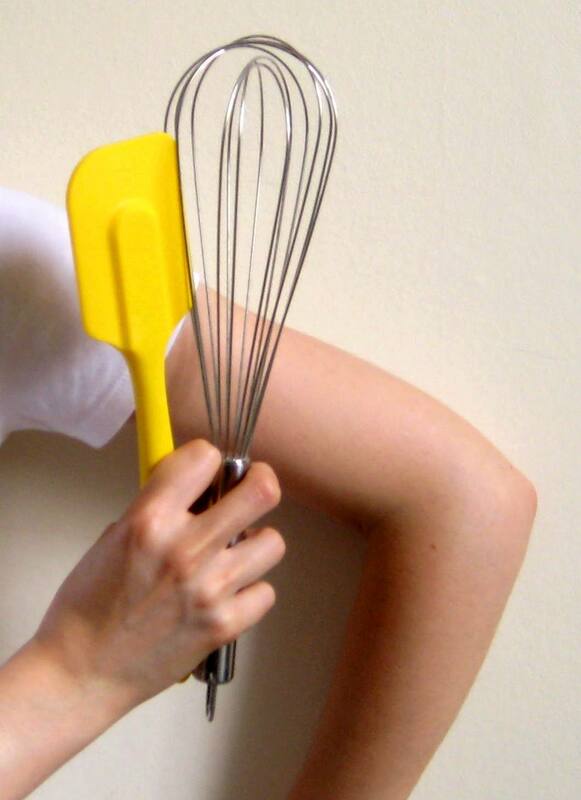 It comes with a whisk, beater, dough-hook, batter-paddle and splash guard. You can also buy extra attachments to roll pasta etc. I've used it for cakes, bread and whisking egg whites so far and it has handled them all easily. It smoothly works up to the set speed and automatically stops if you lift the mixer head. Occasionally, mine doesn't seem to want to get going when I initially turn the dial but this seems to be a freak occurrence. It does a much better job of bread than a hand-mixer and cakes have been very light and fluffy. For me it has made things much easier. My right shoulder and elbow can get very sore and holding a hand-beater is tricky. I like the fact I can just switch the kMix on and leave it to knead etc without any arm-pain at all - I don't think I will go back to a hand-whisk, especially as it manages small quantities well. I find the mixer head-release easy to lift up and down; it's heavy but the weight is well distributed so it tips back easily. The bowl is nice and light although I sometimes struggle to get it in and out, I don't think that is an arthritis-issue but more me still getting used to the machine. The attachments are a doddle to fix in and extremely easy to clean. My only real gripe is that I would like spare bowl attachments to be available so you can mix up a cake and icing etc without having to wash-up in between. The mixer is far too heavy to be moving around the kitchen counter so you do need to be happy to leave it out. Luckily, the kMix looks lovely and comes in a range of colours. It's also very easy to wipe down as it's got smooth sides. A Pricey but worth it if you are a keen baker with arthritis. It is a quality piece of kit. I was reading a perfectly sane sounding blog the other day which suddenly declared that beetroot was full of oxalic acid and should be avoided in the diets of people with arthritis. The reasoning was that oxalic acid can block calcium absorption and this would lead to a whole host of unpleasant symptoms from crumbling bones through to heart problems. Now, in theory, large doses oxalic acid can affect calcium metabolism and cause health issues but you would have to be consuming pound after pound of high oxalic acid foods for this to be a problem. It's just another myth about diet and arthritis. In fact, beetroot is packed full of vitamins, phytochemicals and blood pressure lowering nitrates. It's a wonderful vegetable for adding sweetness and colour to dishes and really comes into it's own in the Autumn. 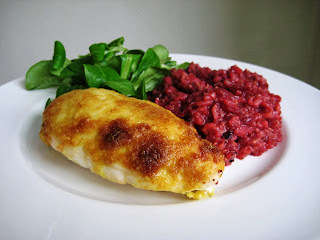 It also tastes great in this risotto recipe, so tuck in and enjoy - your taste buds and arthritis will thank you for it. PS. If you'd like to make the parmesan-crusted chicken also shown in the photo, the recipe is here. Purée two (or half the packet) of the beetroot in a jug with the stock. Chop the other two into rough pieces. Heat the olive oil in a large, oven-proof dish on the hob. Add in the chopped onion and garlic and cook for a few on a medium heat until softened for about 3-5 minutes. Tip in the rice and stir to coat. Then add the puréed beetroot and stock mixture. Give everything a good stir and then cover the dish and pop it in the oven for 15 to 20 minutes or until the rice is soft and cooked. Mix in the rest of the beetroot, pinch of nutmeg and the cream cheese. Serve. If you want to read more about the health benefits of beetroot, have a look at this post in the 'Arthur Investigate' series on how certain foods in your diet can impact on your health and arthritis. Today, I've got a lovely gluten, dairy and egg free recipe for all those with arthritis who are on special diets. 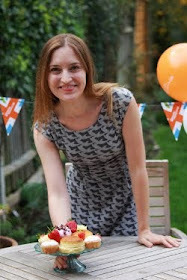 I made these for our Arthritis Research UK Great British Garden Party and they were a huge hit with everyone who attended. The basic recipe lends itself well to adaptations, so try using hazelnuts and some cocoa powder or adding some lemon zest or ginger. Have a look at the arthritis diet notes section at the end of the recipe to learn more about chia seeds and arthritis. Put the chia seeds in a bowl with the almond milk and leave to soak for 5 minutes.Then combine with the syrup, oil, vanilla extract and salt. Pour the wet ingredients into the dry and mix until you have a stiff dough. Roll into a log and wrap in cling film. Put in the freezer for 20 minutes. Remove the dough from the freezer and slice into 20 3/4 inch thick rounds. Place on a baking sheet and bake at 180C/350F for 15 minutes or until just golden around the edges. Allow to cool for 5 minutes before transferring to a wire rack to crisp up. Chia seeds are a very small, dark round seeds that have been used in bread baking for years. They have recently become popular and touted as a 'superfood' in the media because of their high omega 3 content and ability to form a gel when added to fluids. 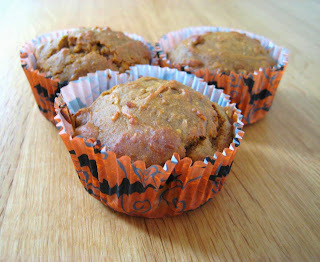 From my perspective, they are a useful baking ingredient in gluten-free recipes as they help bind mixtures together. They are also a good way to add a boost of healthy omega 3 fatty acids. However, I don't think they are a miracle ingredient for people with arthritis. You would need to eat an awful lot of them to get a decent dose of omega 3 fatty acids and plant sources lack the fatty acid compounds DHA and EPA that have been shown to be effective in reducing arthritis inflammation. If you are vegetarian, then you might find chia seeds a useful addition to your diet to help you get enough omega 3, alongside other sources such as flax (linseeds), almonds and walnuts. 1. Firstly, you can swap high omega , arthritis friendly rapeseed oil for up to a two-thirds of the butter in most cake recipes but you may need to add a tablespoon of extra flour. Experiment with small batches. Ground almonds, apple sauce, grated and puréed fruit or vegetables can also be used to reduce the amount of unhealthy saturated fats. My recipe for cute cupcakes, uses nuts and courgettes and this chocolate cake adds beetroot for an amazing texture. Try the orange loaf to see how using oil can make a brilliant cake. 2. If you avoid gluten, you can try using gluten-free flour in place of wheat flour. Buy a brand with xanthan gum added or add in yourself to avoid very crumbly cake or mix up a tablespoon of omega 3 rich flax or chia seeds with water and leave to soak for 10 minutes until it becomes 'gloopy', you can then add this in to help bind the mixture. This brownie recipe is gluten-free and wins over everyone. 3. Eggs aren't essential. 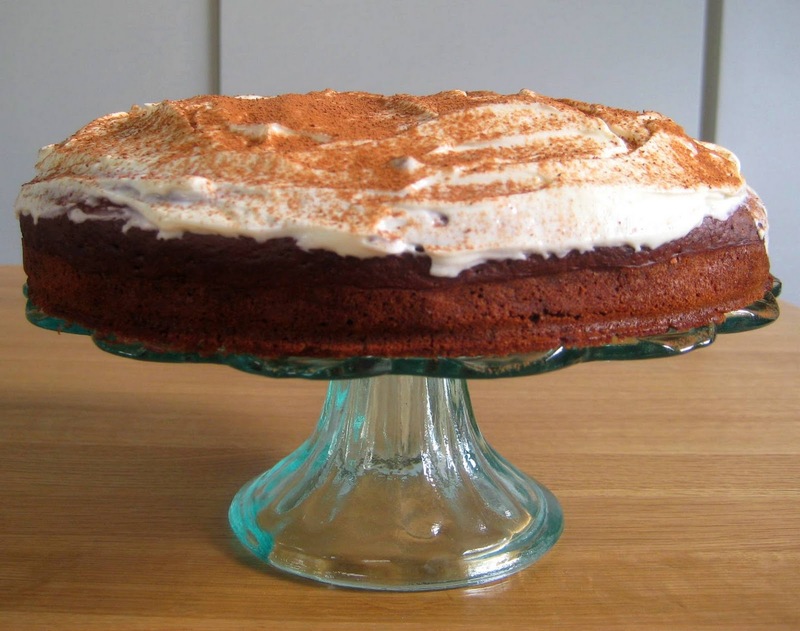 If you find them tricky to crack because of your arthritis, it's perfectly possible to make a fantastic egg free cake. You may need to add extra raising agent and use a recipe where the fat added is oil. These muffins show you how it is done. 4. Even a store bought cake mix can be given a healthier makeover. Have a look at my tips here. There are even more healthier cake recipes here and look out for my easy biscuit recipe over the next few days. Something I've been perfecting in time for our party. This blog could have easily been entitled 'Cooking with Aubergine' and I still could have filled it with recipes you can enjoy with arthritis. I adore aubergine. I could eat them at every meal but often get a bad rap because they are prepared with lots of oil and salt. Aubergine really don't need to be. I like to steam, bake or grill them until soft. If you want to fry them, give them a gentle steam first and then brown them in a hot pan smeared with a little oil. They will taste just as good but have absorbed very little oil. 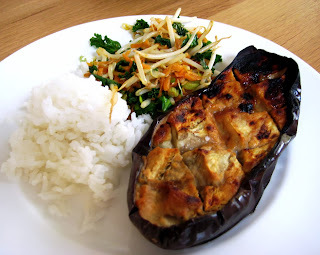 This miso aubergine recipe, which I have adapted from BBC Good Food, is a lovely different way to eat aubergines. Try this very easy, arthritis diet friendly recipe to see how delicious they can be. Mix the miso, honey and sesame oil together in a small bowl. Halve the aubergine and score the flesh lightly in a criss cross pattern. Place on a baking sheet, cut sides down, and bake for 20 minutes or until the aubergine is soft and sagging slightly. Remove from oven and turn over to expose the criss-cross side. Spoon the miso mixture on top of the aubergine and then place under the grill for 5-10 minutes until the top begins to brown. Serve with rice and steamed veggies. Aubergine are a a good source of B vitamins, vitamin K and fibre. The deep purple skin contains the powerful antioxidant, nasunin. Studies show nasunin can act as a anti-inflammatory and may help prevent cancer and Alzheimer's disease. However there is no particular research looking at it's effects on arthritis. Traditionally, aubergines were salted to help absorb the bitter juices but modern varieties don't need this so you can enjoy them with out all the added sodium. This should have been a top 5 of arthritis diet friendly cupboard staples but I couldn't leave out the anti-inflammatory spices. 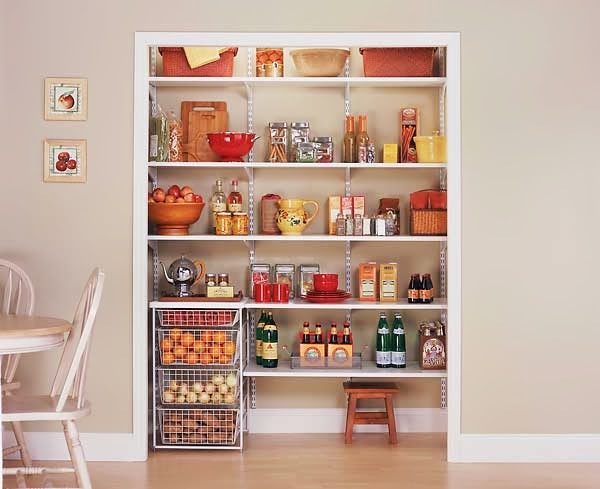 These are the healthy ingredients that you can tuck at the back of your pantry and feel smug in the knowledge that you will always have some nutritious goodies on standby, even when your fridge is bare. Follow the links included to my favourite arthritis friendly recipes using these store-cupboard staples. Couscous - so ridiculously easy to cook, it's virtually instant. You can simply pour boiling water over couscous and leave it to steam so there is no messing about with heavy pans full of hot water. Mix with grated or grilled vegetables and herbs for a quick salad. Serve alongside grilled meats or fish as a tasty alternative to rice or potatoes. Good quality low salt stock cubes - a great base for quick, healthy soups and sauces. You can even mix one with a little olive oil and use to marinade chicken or fish. I like the Kallo brand best. Oats - make summer porridge by soaking them overnight in fruit juice and serving with yoghurt for a breakfast rich in in heart healthy soluble fibre. Bake with them or use them to give a crispy, fibre rich coating to fish fillets. Almonds - high in healthy mono-unsaturated fats, vitamin E and fibre, almonds make a great snack or addition to cereal, salads and stir-fries. Cans of beans - cannelini, chickpea, butter beans - whatever you like best, keep a few cans of them handy. You can mash the beans to serve alongside grilled fish, add them to stir fries instead of noodles to add protein and fibre, toss them into salads or whizz them up into great tasting dips. Spices - turmeric, ginger and cinnamon are all anti-inflammatory spice cupboard staples. Dried chilli flakes and garlic are also a great no-chop alternative to the fresh ingredients. 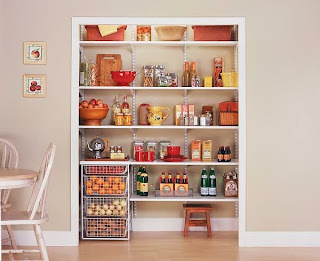 What are your arthritis diet cupboard essentials? It's a bit too hot to do much cooking with arthritis here in London. I swelter every time I even look at the kitchen so we have been living off salads, cold soups, creative sandwiches and a little bit of BBQ-ing. 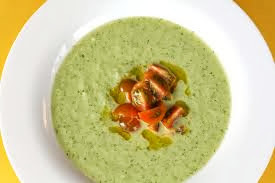 I love a refreshing gazpacho soup and this green version is no exception. It's particularly nice with wedges of toasted pitta bread. I find it easiest on my wrists to make this with a hand-held blender. If you choose to use a food processor you may find it's not totally smooth - it doesn't matter, you can call it authentically rustic. Place all the ingredients in a blender or food-processor and blitz until very well combined and almost smooth. Chill for 2 hours and serve with a sprinkle of mint. This is a light and healthy soup for anyone with arthritis. The yoghurt provides a good source of low-fat dairy and important bone-boosting calcium. Cucumbers provide some anti-inflammatory vitamin K (read more about the role of vitamin k in arthritis here) and the almonds are rich in vitamin E. If you want to up the vegetable content of the soup, try adding baby spinach leaves or a raw green pepper. If you aren't a yoghurt fan, you could add cannelini beans instead to enrich the soup. A truly brilliant and inspiring cookbook that just happens to be vegetarian. Ottolenghi's book is full of Asian and Middle Eastern inspired recipes that pack a huge flavour punch and will shake you out of any cooking rut. Few books will encourage you to raid you arthritis-friendly spice cupboard as thoroughly as this. A few of them require a long list of ingredients or lots of chopping but I have found it pretty easy to adapt the recipes to my cooking with arthritis needs. The Mee Goreng is probably my favourite arthritis friendly dish ever. In some ways this is a similar concept but with a completely different style of recipe. 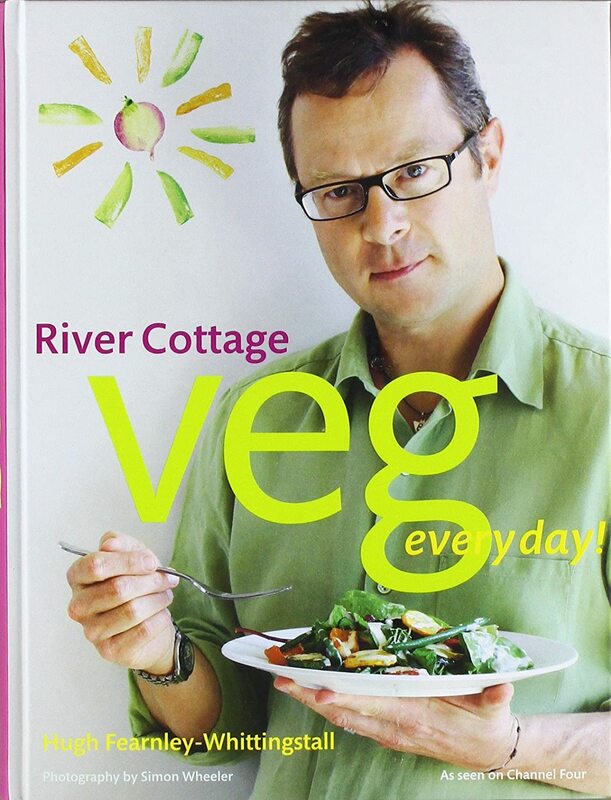 Hugh Fearnley-Whittiningstall has come up with all sorts of quick and healthy vegetable based dishes that almost anyone will enjoy. 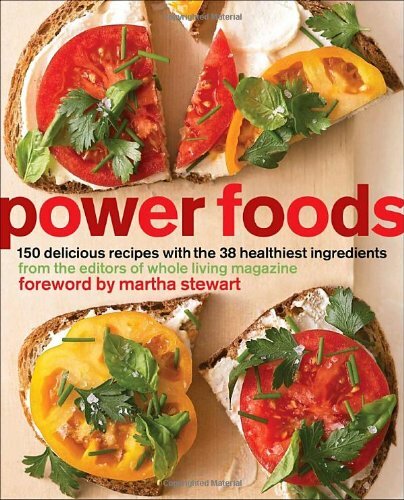 I find this book great for ideas when I'm having an arthritis flare and want something very quick and easy to cook. The Butternut Nutbutter soup wins my award for recipe I wish I had thought of. I was recommended this via twitter by my lovely Washington based friend @SophieGG. 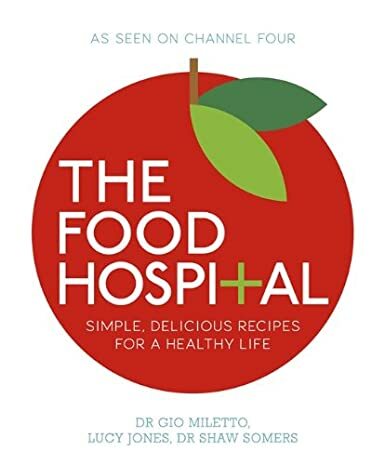 For anyone with arthritis who wants some good, sound advice on which foods are healthy and why then this is an excellent cookbook that avoids sounding faddy or cranky. This book is basically clinical nutrition in practice for dummies. If you want accessible information on the latest evidence on chronic conditions like arthritis and diet then this is the book for you. 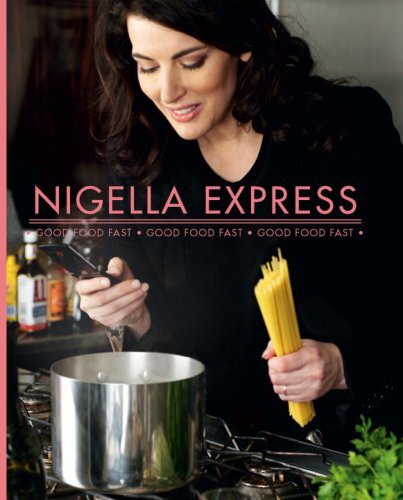 Does what it says on the cover - it really is good food fast. Not all of it is particularly arthritis-friendly but the Rib-Sticking Stir-fry is a good choice for a filling, healthy meal in a hurry. If you have any favourite books or sites, please share them in the comments below. It's the first ever Rheumatoid Arthritis Awareness Week here in the UK, organised by the lovely people at NRAS. Do go on their site and find out more about it and get involved. We're very lucky in the UK to have such proactive and motivated arthritis charities who do so much to help people understand arthritis. On a day-to-day basis raising awareness avoids having to answer stupid questions like 'oh aren't you a bit young for that?' or 'sorry, how do you spell that?' and in the longer term it helps improve funding, research and care for all types of arthritis. Tub-thumping over, I've got a very easy health and anti-inflammatory lolly (popsicle) recipe for you today. I've been waiting for summer to arrive to start posting all my seasonal arthritis-friendly recipes but frankly I'm bored of waiting. 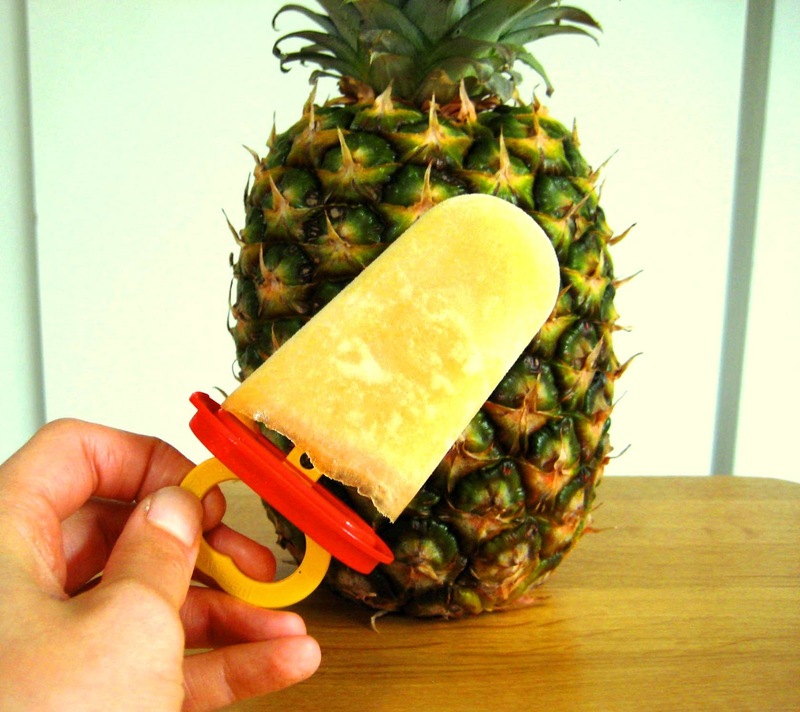 If these lollies don't bring the sun out then nothing will!If you can use fresh pineapple, either pre-prepared or hacked-up yourself, then please do as it is much richer in the anti-inflammatory enzymes and anti-oxidants then the canned type. However, don't beat yourself up if you want to use canned, just pick the kind in juice not syrup. Put all the ingredients in a blender and blitz until smooth. Pour into lolly moulds and freeze for at least 6 hours. Ginger contains chemicals called gingerols which some studies suggest have powerful anti-inflammatory effects. Some studies have suggested it can reduce pain in osteoarthritis patients and lab studies have suggested it may help RA but more research is needed. However, it certainly won't do you any harm and give it's potential benefits it's an easy and delicious spice to add to your diet. Pineapple is rich in the enzyme bromelain. Again, this compound has shown to have an anti-inflammatory effect in the lab and in some subjects with OA but evidence on the required amount and mechanism of action is sketchy. Pineapple is rich in vitamin C which several studies have suggested people with arthritis consume less of than health subjects so eating it may help you boost your levels. Something a bit different on the blog today...a study about arthritis and dietary supplements. As some of you know, when I'm not cooking, I'm currently doing a study into whether people with arthritis are more likely to use dietary supplements and what they take. There have been very few studies in this area but supplements targeted a joints are worth more in sales in the UK than any other kind (around £243million). I'd massively appreciate it if readers could take part. It's entirely anonymous and the findings will be shared with everyone once they have been analysed. Even better, it only takes about 5-10 minutes to do. Here is the link to the Arthritis and Dietary Supplements Survey. Thanks and it will be back to cooking as usual very shortly! Having just spouted forth about both the benefits of greens and having less meat in your diet for arthritis, it felt like a good time to post my vegeree recipe. If you aren't from the UK, you may never have come across kedgeree, which is curried rice, egg and smoked fish brunch dish. It sounds utterly bonkers but the flavour combinations work really well. The chef, Hugh Fearnley-Whittingstall, does a great vegan version in his 'River Cottage Veg' book, which we always enjoy but I wanted to try adding kale and some smoked tofu to liven it up a little. 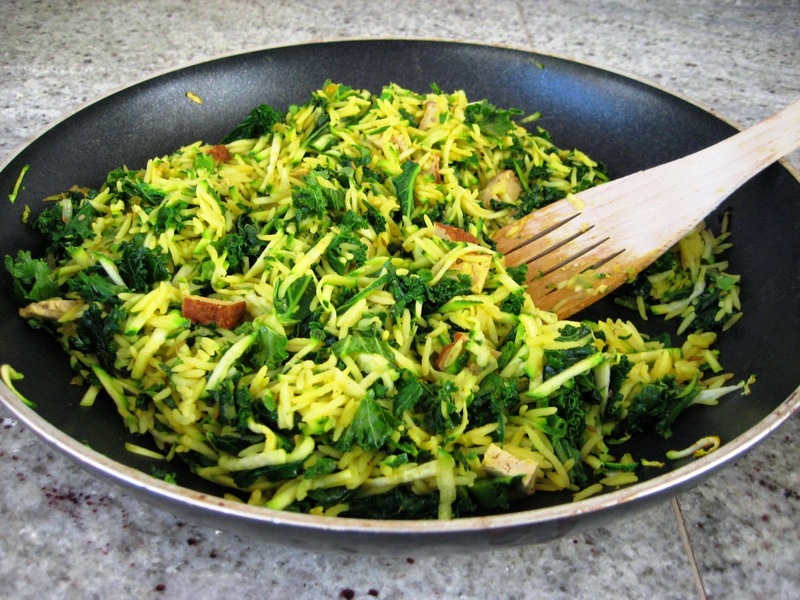 Stir-frying kale or greens on a high heat seems to cure them of their sulphury whiff and transform them. The 'minerally' taste of them is also strong enough to stand up against the smoked fish or tofu and the curried spices. This is not a dish to be making if you arthritis is affecting your hands or arms a lot. I wouldn't attempt this on a bad day as there is quite a bit of chopping and stirring which can be difficult even with a food processor. Having said that, it's very quick to put together as well as being fantastically healthy so, if can give it a go, I promise you will enjoy it! Heat the oil in a large frying pan or wok. Add in the onion and stir-fry over a low heat until softened. Crush the garlic into the pan and throw in the kale. Continue to cook for 3-5 minutes or until the kale as wilted. Add the courgette, rice, tofu (or fish) and curry powder to the pan and give everything a good mix. Stir-fry for another 3-5 minutes until everything is piping hot. Serve with lime wedges and minted yoghurt (raita or tzatziki are very nice).